The last time I mentioned "running" in this blog, it was July of 2017 (Summer Running). In that entry, I mentioned that we were preparing for the Rock 'n Roll Half Marathon, which was held on March 25th of this year. 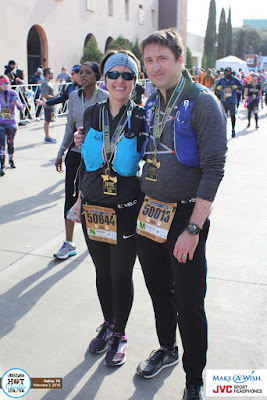 As it turns out, we did not run that race, and the lessons learned leading up to the race are probably worth mentioning, if for no other reason than as a cautionary tale for anyone that has dreams of running any moderate- or long-distance races. This was the first preparatory race Tanya and I ran. It was a short distance on purpose -- we wanted to try something pretty informal and not too taxing for our first race experience. Full disclosure: I ran track in high school (although, admittedly, not very well), and had even run a 5k a couple years prior. Even so, it was good to get some race-centric jitters worked out. How'd I do, you ask? Faster than a herd of turtles! I felt really good about these results. It was the fastest time I'd ever run for a 5k, and I felt like I could have gone even faster. As a result of this race, both Tanya and I looked forward to the half marathon. We still had four months to train, had an ambitious plan of how to get there, and were positive things would work out fantastically. Then the bad times started. We were training along pretty well, considering it was winter. Twelve runs in December, varying in duration and intensity. The longest run that month was just under 10k, which seemed pretty good to me, given our next race was a 15k. Then, on January 4, about thirty minutes into our run, I felt something go wacky with my right calf. What I first thought was a cramp turned out to be a mild strain, which I further aggravated by not allowing it to heal. I tried running again on January 11, and it tightened up again after twenty minutes. I realized I wasn't right, and took a longer break. I still wanted to try to run the 15k, but was pretty skeptical that I'd have the legs for it. On January 24, I did a very easy, 30-minute run, and felt just fine at 13:30/mile. A few days later, I ran 10k at that same, slow pace, and still felt fine. The 15k was a week away. Given that I felt OK, I figured I'd give it a try, just at a really slow pace. I won't keep you in suspense. The race went better than I expected. It was ridiculously chilly in the morning when we got there, but by the time we were running, I was plenty warm. That was a long race. It was 5k further than I'd ever run, and I was pretty beat. I managed 11:00/mile, which was way faster than I thought I'd be able to run. And, as with the 5k, the results left me very hopeful about the half marathon. We still had almost two months to train, after all. Given the amount of time we had left, we needed to increase our mileage by about a mile per week. Tanya had a plan all mapped out that would make it happen. The only problem was, she was starting to feel twinges of pain in her knee. On longer runs, she'd get 8 miles in and have to pull up. I was also having trouble getting extra miles in. February 27th's run of ~8 miles was pretty challenging, but I managed to complete it at the slower ~13 min/mile pace. The following weekend, the long run ended for me at 7.85 miles (12:46 pace). I was beginning to think I wasn't going to be able to get the mileage in, that my legs just couldn't take the pounding. Tanya's knee was continuing to bother her as well. Our last long run in preparation for the half marathon was on March 17th. I only made it a little longer than 5 miles in (11:40 pace) before I had to stop from calf cramping. I felt like it really was a cramp instead of a strain, but didn't want to take any chances. Tanya, on the other hand, ran for another almost 4 miles before she was forced to stop. Her knee wasn't going to allow her to run any further. With the half marathon only eight days away, we realized we weren't going to make it. Or, rather, that we could try to make it, but it would be foolish to potentially injure ourselves any more than we already had in order to try any particular race around Dallas. So, in the end, we didn't run the race, and actually took three weeks off from running in an effort to allow for better recovery. Even after that, Tanya's knee was still bothering her some. 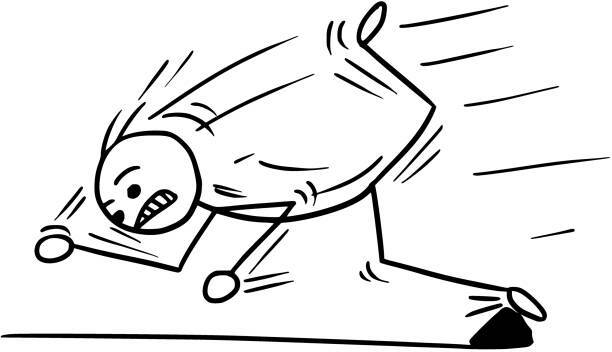 We've decided to switch our exercise routines to be more core-centric and work on flexibility and strength. Give yourself LOTS of time to prepare. Our training plans ranged from twelve to sixteen weeks. Set aside at least that amount of time. And expect that you'll miss a bit, so you might give yourself an extra week or two just in case. Stick to the plan. Do the workouts -- ALL of them. If the plan says to run four times a week, don't skip what you think might be an unnecessary recovery run. If the plan says to cross train on your off day, do it. Don't take that day off. These plans are typically created by people that know what they're doing. Don't think you know better than them about the training plan (although you certainly know more about how your body is reacting to the plan, and you might need to tap the brake or accelerator accordingly). Injuries happen. When you push your body, bad things can happen to it. This is more true of people that aren't accustomed to rigorous training, but are working up to it. When injuries happen, deal with any disappointment you might have in not meeting your goal, but allow yourself to heal and recover. There's no race for which the reward is worth permanently hurting yourself that I know of. Then again, I'm not very imaginative about these things. However, being able to walk comfortably in my golden years is more important to me than getting a piece of cheesy metal today. Short distance is our style. We feel like 5 and 10k races are probably about as much as we want to run, with the occasional 15k thrown in for good measure, once we've gotten back into the habit of running regularly. To the last point above, the Hot Chocolate was definitely worth running. After the race, you get a bunch of chocolate and marshmallows and stuff. And during the race, they have hot chocolate at the aide stations. And, once we feel like our bodies can handle it, we'll start running again. As I said last year, running in Texas in the summer is a bit like going to a sauna and doing high-knees instead of just sweating -- it's not impossible, but it's certainly less than ideal.